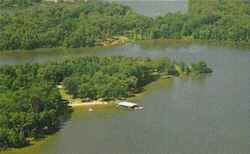 On beautiful Kentucky Lake in Marshall County, Shawnee Bay Resort is in the heart of it all! If you draw a 400 mile circle around Kentucky Lake, you'll find that over 90 million people live within it. Only minutes away, I-24 will take you to west to Paducah, KY or east to Nashville, TN. Major metropolitan areas are a "quick get-a-way" if you feel you need to visit the "big city". Several golf courses from 15-30 minutes away. Off ramp I-24 at Exit 25-A onto Purchase Parkway.